It’s beginning to look like the 2015 growing season is going to be another excellent year! It’s been a little dry in the early going which has resulted in more trips to the plot to water, but overall the plants look really strong and healthy. 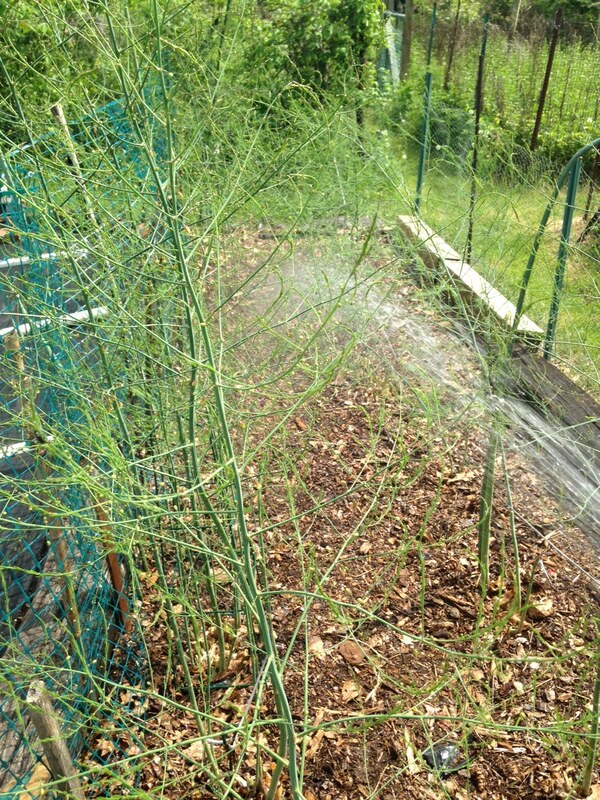 So far we’ve picked about 70 asparagus stalks. We’ve let some of the stalks grow to full size to insure that the plants are strong and healthy. Can’t just keep cutting and cutting! 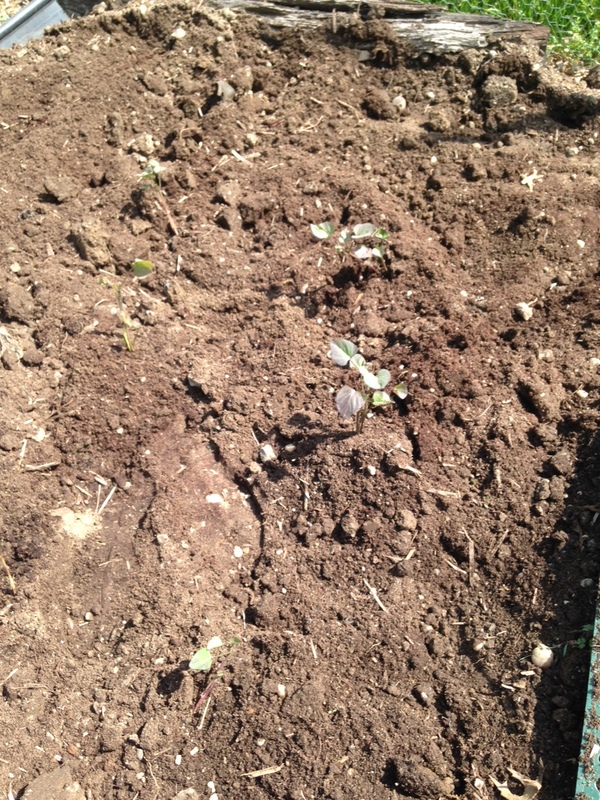 Eventually the plants would become week and not produce as well. This week several of the plants in the plot have really popped. 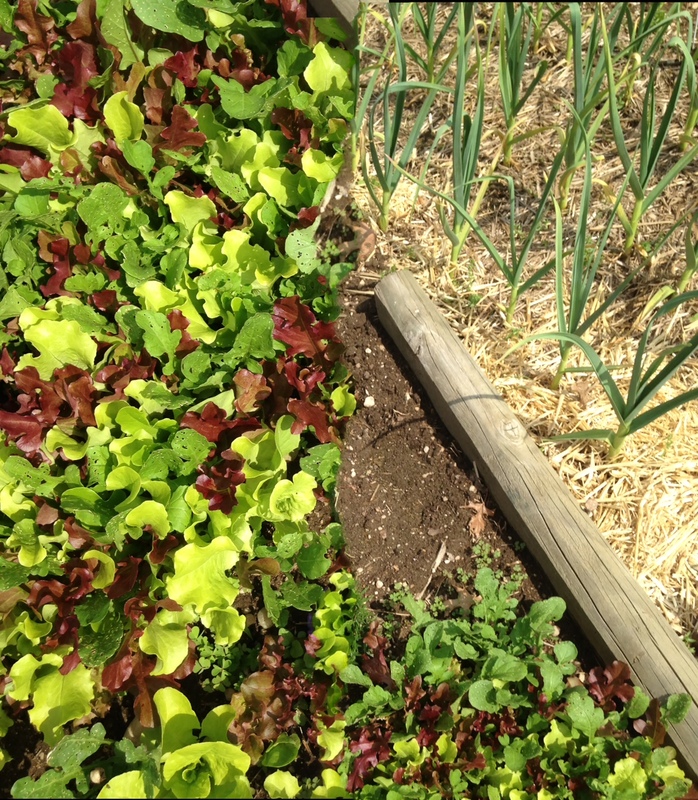 Here we see mesclun field greens on the left and healthy growing garlic on the right. Sweet potato vines are starting to show some growth too. First time we’ve ever done them. I’m told they’re easy and we love ’em so I guess we’ll see how they turn out. The weather has now warmed to a point where next week we will put in the tomatoes and peppers. But the ground has to be worked before you can plant. I ran my tiller through the area and then added Tomatoes Alive…an organic fertilizer I get from the company Gardens Alive. 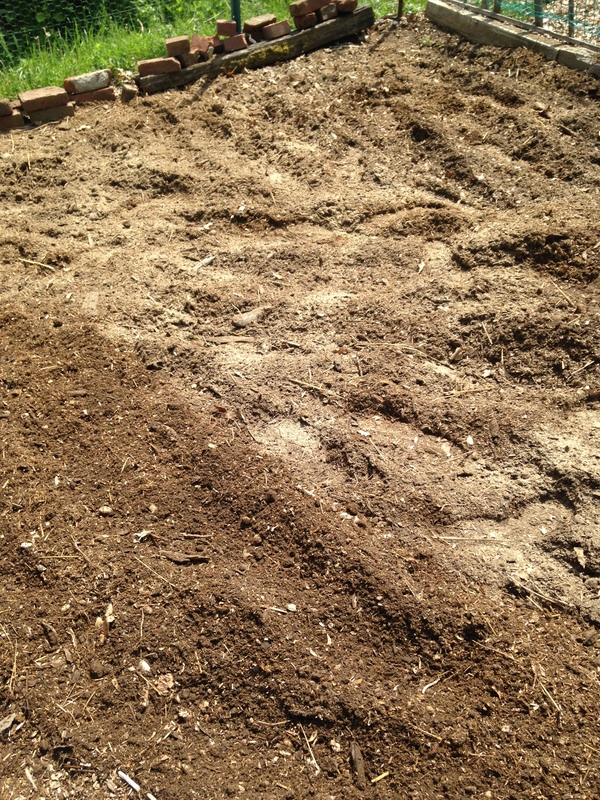 I also mixed in some horse manure that the town provides, and some leaves collected last fall. Once the ground has been worked we water it down, cover it and let it sit until next week when we plant. We’ll see you when the next batch of plants go it. 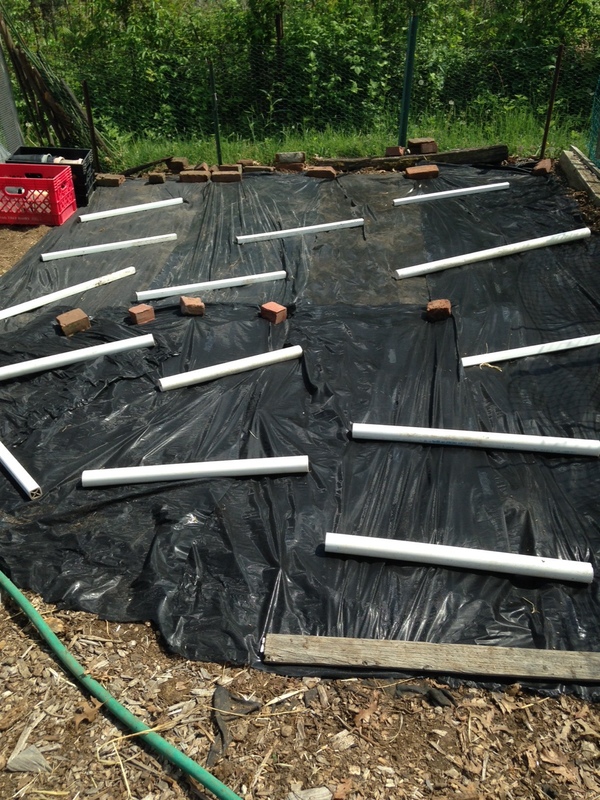 This entry was posted in Gardening, Growing Vegetables and tagged Gardening, Organic fertilizer. Bookmark the permalink.